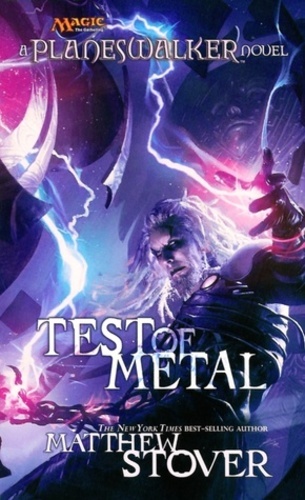 The New York Times best-selling author Matthew Stover brings his razor-sharp prose and hard-hitting characterization to the Multiverse of Magic: The Gathering®. From the ashes of defeat, the planeswalker Tezzeret will rise again. Beaten to within an inch of his life and left for dead by the psychic sorcerer Jace Beleren, Tezzeret has lost control of the Infinite Consortium—an interplanar cabal he built from the ground up to achieve the sort of power and influence few in the Multiverse have ever achieved. Now he must turn to a former enemy for help: the dragon Nicol Bolas, perhaps the only being in the Multiverse powerful enough to get him back on his feet.